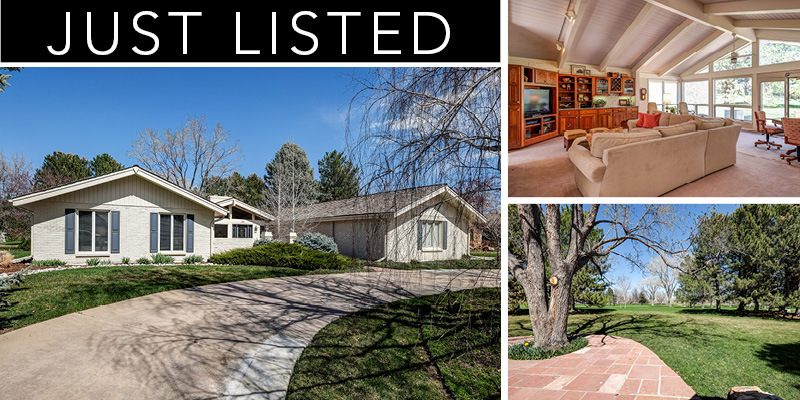 Absolutely gorgeous ranch w/a circle drive, courtyard entrance, and a plethora of windows and skylights that set the tone of a bright, airy feeling throughout this home! A stunning vaulted entry offers a glimpse of how this open floor plan easily accommodates entertaining & family gatherings. The beautiful kitchen boasts granite counters & cherrywood cabs. A spacious formal dining rm w/coffered ceiling and 2 butler pantries is perfect for an elegant evening of entertaining or a quiet evening of fine dining! The centerpiece of the living space is sure to be the greatroom w/ its vaulted ceilings, gas fpl & full wall of cherrywood built-ins that includes an entertainment center, bookshelves, storage, and a wet bar! The full wall of windows provides an irresistible invitation to relax on the rear patio with its unobstructed view of the golf course! The master suite offers an amazing retreat including a luxurious 5-piece bath with marble counters and flooring. Beautifully maintained! Click here to view the MLS listing. *Current status and details about this property are subject to change. All information deemed reliable but not guaranteed. Designed by Get REAL Marketing | ©2014 Gary & Justin Miles | All information deemed reliable but not guaranteed.